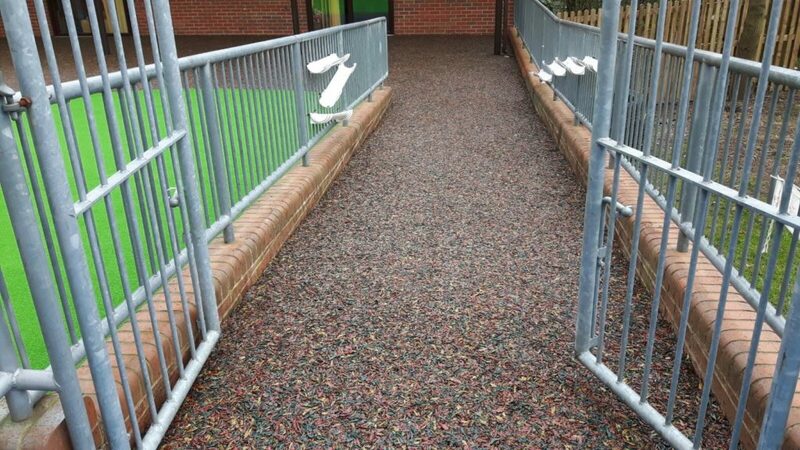 PlaySmart are often asked what the best playground flooring is to deal with the downsides of the British weather. JungleMulch is an ideal surfacing solution avoiding muddy feet while giving clean access in wet weather for wheelchairs or buggies. As a safety surface, it also complies with all required British Standards for slip and fall resistance. As a water permeable surface, it prevents standing water by letting rain drain through the surface. JungleMulch is coloured using organic pigments which means that even when it gets rained on regularly – the colour stays true. This is not true of alternatives which use water-based colouring. Alternatively, why not take a look at our guide? The guide features more information on why JungleMulch is the perfect all weather playground surface as well as our other natural play area surfaces. Click below to find out more!